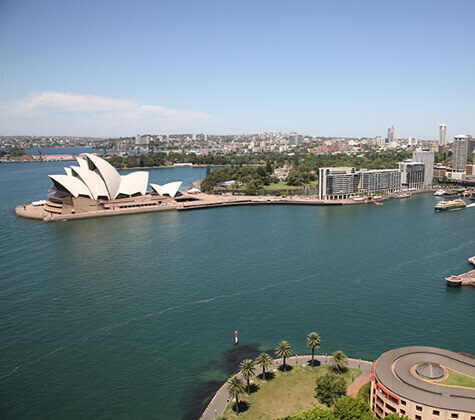 Australia is well-known for its world-class cities, laid-back culture and breathtaking natural beauty. The country has a diverse landscape comprising mountains, deserts, beaches, tropical rainforests and buzzing urban centres, making it a sought-after destination for property buyers – domestically and abroad. In terms of dwelling types, Australia offers a broad range of options for property buyers, with family homes, duplexes, townhouses, terraces and apartments available in inner-city, suburban and rural locations. Of particular note, the Australian real estate market was one of the few property markets worldwide to weather the Global Financial Crisis without a significant drop in value, and has seen consistent growth since records began in 1880. According to 2011 Census data from the Australian Bureau of Statistics, almost a quarter of Australia's population was born overseas and 43.1% of people have at least one overseas-born parent. As such, Australia is a very multicultural nation, with 18.2% of residents speaking more than one language at home, including Mandarin Chinese, Italian, Arabic, Cantonese and Greek. The majority of foreign investment in Australian property has come from the United Kingdom, China and the United States. Buyers from Malaysia, the Netherlands, Germany and the United Arab Emirates have also invested heavily into Australia’s real estate market in recent years – however, Chinese investors have been the fastest growing buying group since 2007 – purchasing properties predominantly in capital cities such as Sydney, Melbourne, Brisbane and Perth. Your CENTURY 21® Agent will be able to assist you in understanding the home buying process. Please seek professional advice from a qualified lawyer and tax adviser before attempting to purchase real estate in Australia.